As experts have said time and time again, hiring a good web host is about as easy as loving Cersei Lannister. You have an overwhelming number of options that make your head spin. Not to mention, you have to find the right web host because so much of your success rests on your website. With that said, which web host does a better job, iPage or SiteGround? Looking at a host of criteria like pricing structure, security, usability and additional benefits, we will identify the best host for you. 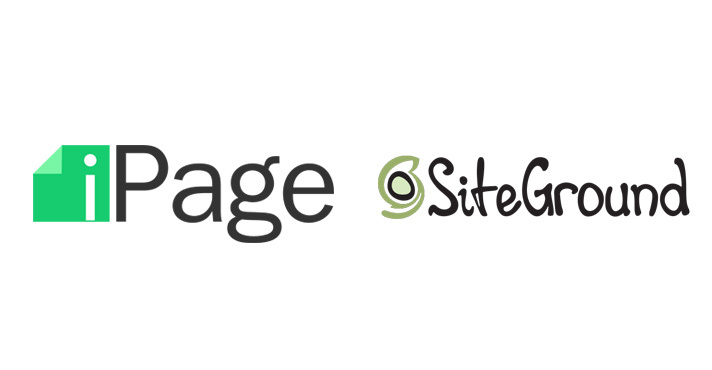 When it comes to performance, SiteGround can almost be guaranteed to perform much better than its iPage counterpart. Why does SiteGround seem to do a much better job? First, SiteGround has a hosting package intended specifically for content management systems like Joomla, Drupal and WordPress. The page loading time at iPage came in at 868 ms. Meanwhile, SiteGround had an extraordinarily fast response time at 190 ms. It’s not difficult to see why SiteGround outdoes its competitor in performance. It’s pretty evident that iPage outperforms SiteGround because you get unlimited with iPage, and at the same time, the price looks far more alluring. Server security is one of the top priorities with SiteGround. Some of the measures that they have taken include all servers using the latest in PHP 7, and they have the latest security fixes. ModSecurity has also been installed on all their shared servers, which protects customers from the most common attacks. On the other hand, you have iPage. They fall short in terms of SSL certificates. For each site you want to protect, you will have to pay $35.99 per year, which is quite expensive. On SiteGround, you don’t pay for the SSL certificates, which inevitably makes them a better company for security. Which site has better usability? The introductory offer with iPage can’t be called anything other than a steal, and there are no strings attached. Meanwhile, SiteGround has a lot of free premium features that make it stand out from the competition. Some of the advanced features you get include daily backups, free SSL certificates and CloudFare CDN. The features with SiteGround easily outperform its rival, but iPage does have some advantages like unlimited email accounts and unlimited disk space and bandwidth. Customer Service – Who Does Better? In a comparison with iPage vs SiteGround, iPage has some fairly decent customer service that gets the job done. They have 24/7 tech support, and you can reach them by phone or live web chat. The customer service rep seemed to understand how to give concise answers that fully elaborated. When you compare this to SiteGround, many people commented on how their tech support went above and beyond. Both seemed to perform well in terms of customer service. Their customer service representatives were both knowledgeable and friendly. Excellent uptime with this service, which is important to any business owner. Responsive and highly knowledgeable customer service that gets the job done. Any-time money back guarantee for hosting during the first 30 days. The low pricing point and unlimited bandwidth and disk space make this a steal. Lacking in many of the features that SiteGround has. Doesn’t have cloud-based hosting or Windows hosting. You have a selection of some awesome free premium features. Take advantage of the 30-day money back guarantee. No payment for SSL certificates. The shortest billing cycle is 12 months. The pricing structure high in comparison to competitors. Limited storage in comparison to other hosts. When you make a comparison of the two web hosting sites, you have a close match, but SiteGround performs a little better. However, iPage might still be the better choice if you want a lower price and unlimited bandwidth and disk space. Still, SiteGround gets the better rating because of how it has better features, top-notch security and easier navigability on its site. With the other hosting plan, you receive an all right package, but SiteGround unquestionably performs a little better than what iPage can, and iPage inconveniences you in ways that make it less worthwhile.